Sweden’s Foreign Minister, Margot Wallstrom, responds to Israeli counterpart's criticism over decision to recognize "Palestine". Sweden’s Foreign Minister, Margot Wallstrom, said Thursday she would be “happy” to send Foreign Minister Avigdor Liberman some IKEA furniture. Wallstrom’s comments, made in an interview with CNN, came after the Israeli Foreign Minister, in denouncing Sweden’s decision to recognize the Palestinian Authority (PA) as "the State of Palestine," said that “relations in the Middle East are a lot more complex than the self-assembly furniture of IKEA”. “I think it’s a sign of a sense of humor, and I will be happy to send him a flat pack of IKEA furniture and he will also see that what you need to put that together is, first of all, a partner,” Wallstrom said in response. “You also need to cooperate and you need a good manual. I think we have most of those elements if we want to use them also for the conflict in the Middle East. For peace you need two parties to actually sit down at the same table and discuss the future,” she added. “We think that now is the right time [to recognize a Palestinian state]. We think that the legal requirements are fulfilled but also it is timely because we’ve had a very serious situation on the ground. We’ve seen new settlements and more violence and also a tendency to radicalization of young people especially,” said Wallstrom, explaining her country’s decision to recognize “Palestine”. “We hope that we can make the parties a little less unequal, that we might inject some new dynamics into the suspended peace talks and also give hope to young people that there is an alternative to violence and war and conflict,” she added. 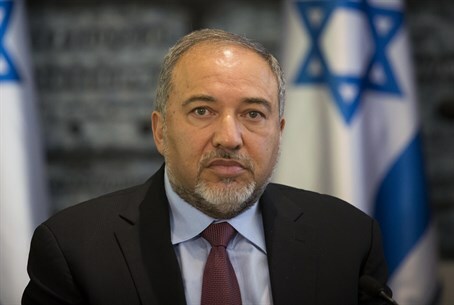 Hours after issuing his criticizing statement, Liberman also recalled Israel's ambassador to Sweden, Isaac Bachman. Foreign Ministry spokesperson Emmanuel Nachshon told AFP about the decision, saying "this indeed reflects our irritation and annoyance at this unhelpful decision which does not contribute to a return to negotiations."